I bought A Perfect Day for a Picnic by Tori French and The Little Paris Kitchen by Rachel Khoo. I also bought these adorable little bowls from An Angel at My Table. LOVE that online store! Mine are very similar to these, but mine are tortoise shell. Sales of Vera Bradley eyeglass frames support the Vera Bradley Breast Cancer Foundation. I confess that I finally for the first time *ever* made red beans and rice with celery. Watch for a red beans and rice tutorial within the next week or two! 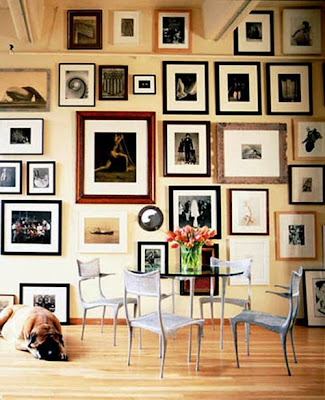 I confess that I finally finished the art gallery in the dining room. But I haven't posted about it yet.... We have been ridiculously busy lately...the end of the school year is too stressful! I confess that I still haven't planted our containers yet. Plus I don't even have a plan. Yet. But I do have a great container garden board on Pinterest! I really like the pale caladiums in this container! I confess that I should know better than to get a cool red in my hair. It never lasts! Next time it's warmer tones for me! What do you have to confess this afternoon? Oh yes, I can see the book purchase. To see an incredible book is like falling in love or at least having a crush and only holding it and bringing it home can satisfy you. I wish I had them. Enjoy. I confess I have book envy. I like your hair that length. Looks easy to care for. You look adorable my friend! I love your cute hair do...perfect for Spring and summer! Love your new banner, too! Sweet hugs! Your new "do" is fabulous! Some day I will find the nerve to go shorter. 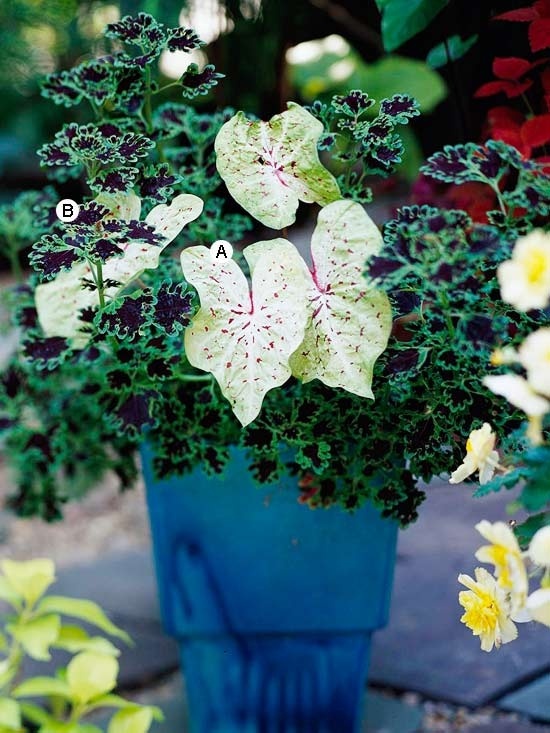 I love the pale caladium in the container, and almost bought one at the greenhouse today. Have a beautiful weekend! I think your books are great, sometimes a girl just has to treat herself!! I confess I too have unplanted plants...I have promised myself I would get them planted this weekend! I so enjoyed reading all of your confessions. I confess that I would have picked up those two books as well! Love the do! Looks really cute on you. Love love love your new blog. Looks fabulous!! You weren't all that bad with your retail therapy, after all you've had a birthday and now Mother's Day. Have a wonderful Mothers Day! that I am secretly reading blogs but not commenting. I confess... I'm getting a lot done while on my blog break! I confess... that it feels good to take break for a bit. I broke my diet and ate a cherry turnover for breakfast! First off you look darling! I confess that I am a bit envious of your great taste, especially love the bowls! I'm excited to see your own art gallery at home. The new bowls look so much your style! I love your new glasses (sorry you have to wear them.) very pretty. I can not wait for your tutorial and to see your gallery. I think you look adorable with the red and the short hair. Love your new header. Hope your Mother's Day was wonderful. I love the coleus in the pot with the calladium. I guess I had not seen a picture of you before, I thought you were a blonde! 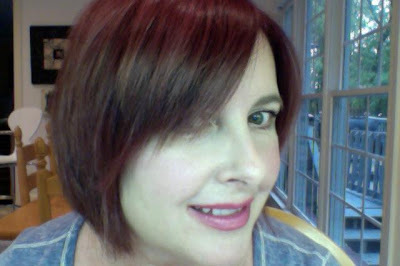 :-) As a fellow red head (by birth) I like your color and cut! A little retail therapy is good for the soul! Love your new bowls and the picnic book is calling my name :) Love your new 'do!